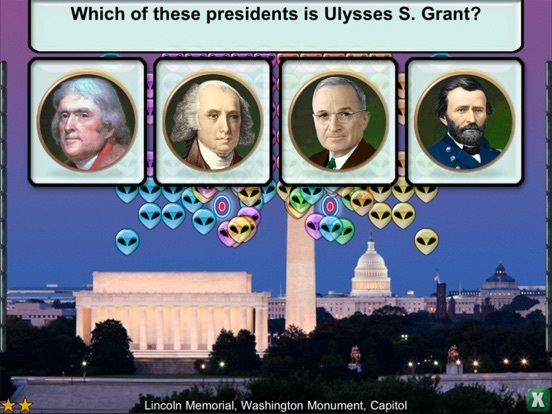 Presidents vs. Aliens® makes learning about the presidents fun! 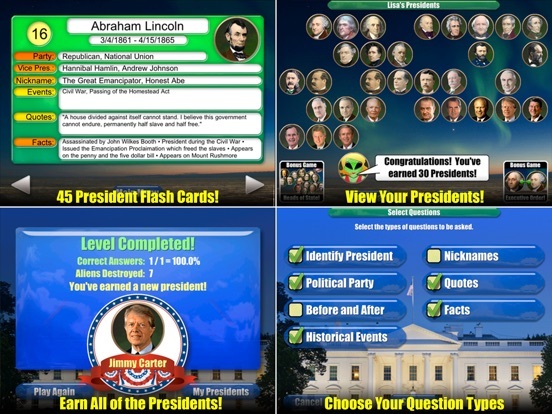 As you learn presidential facts, quotes, nicknames and historical events, you can use your knowledge to help the presidents defeat the aliens. 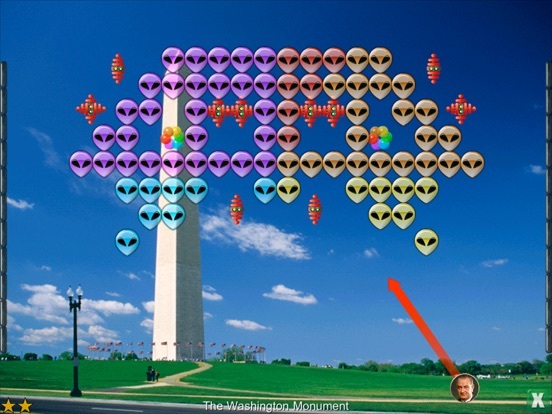 Fling the presidents at the aliens to knock them all down. Use the many special objects and "Executive Powers" to increase the fun! 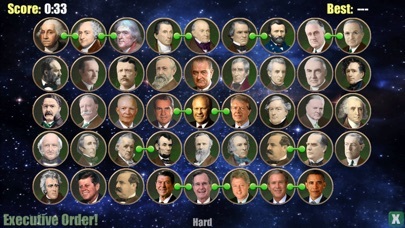 You earn a random president for every successfully completed level. All of your presidents appear on your own personalized screen. Try to collect all 45! 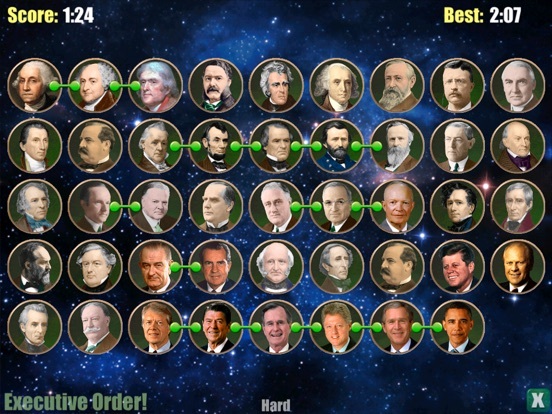 As you earn more presidents, you begin to unlock the free bonus games: Heads of State! and Executive Order! Three games in one! CONTROL YOUR OWN EXPERIENCE: You can select which types of questions are asked. Younger kids can start by just focusing on identifying the presidents. 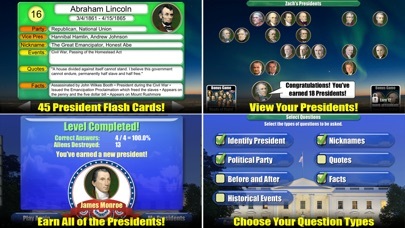 Older kids and adults can delve deeper into historical events and presidential facts. LEARN BEFORE YOU PLAY: Presidents vs. Aliens™ provides 45 informative president flash cards. Use them to brush up on your presidential knowledge before you play or as a handy reference tool. ▸ 45 flash cards -- one for each president! 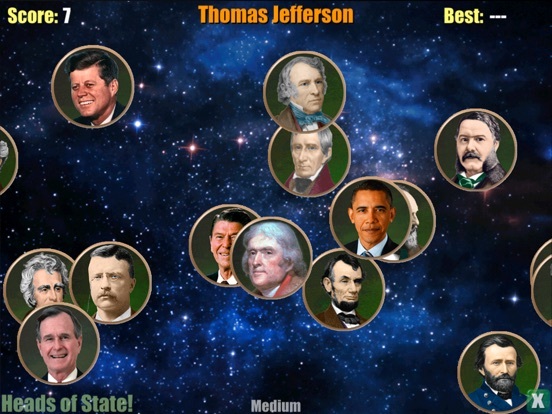 ▸ Earn FREE bonus games: Heads of State! and Executive Order! 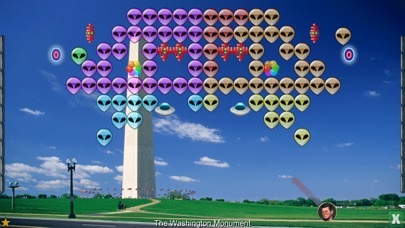 PRESIDENTS VS. ALIENS®: Fling the presidents at the aliens. Try to knock them all down. 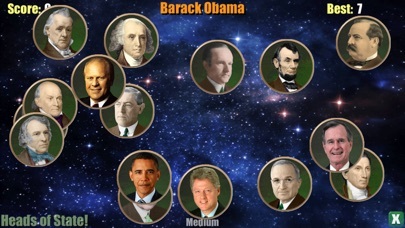 HEADS OF STATE: Presidents are floating in space! Tap the correct ones before you get three strikes. EXECUTIVE ORDER: Drag and drop the presidents to arrange them in the correct order. 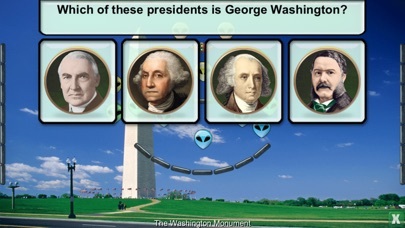 Presidents vs. Aliens® is an educational app for all ages that's actually FUN to play. Try it now and enjoy three games for the price of one! Added support for the new XR and XS devices.